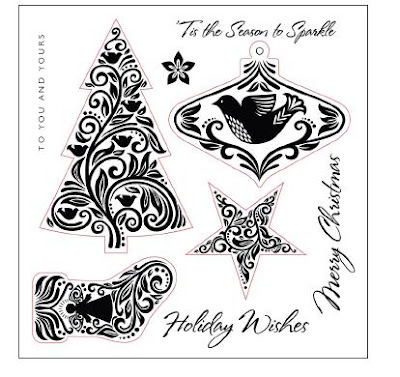 Carla Creates: Holiday Wishes - a special stamp set for the holidays! Holiday Wishes - a special stamp set for the holidays! Place a minimum order of $25 in CTMH acrylic stamps* between now and November 30th and you'll be eligible to purchase this gorgeous seasonal stamp set "Holiday Wishes" for just $5 (retail value is $19.95!!)! You may buy one Holiday Wishes stamp set for every $25 in stamps that you purchase. As a creative bonus, many of the images in the stamp set coordinate with the shapes on the Cricut Art Philosophy cartridge for added cutting & stamping fun. Place your order now and receive your new Holiday Wishes set just in time to make beautiful holiday cards to send to family and friends! The shapes of the images outlined in red can be cut with the Cricut Art Philosophy cartridge. *Stamp of the Month, Customized Name Stamps, Cricut Art Philosophy Collection, and Workshops on the Go Kits do not count toward qualifying purchase of acrylic stamp sets. Tax & shipping apply.